November 1st and December 31st. New Members will be entered to win a 4x8 brick. 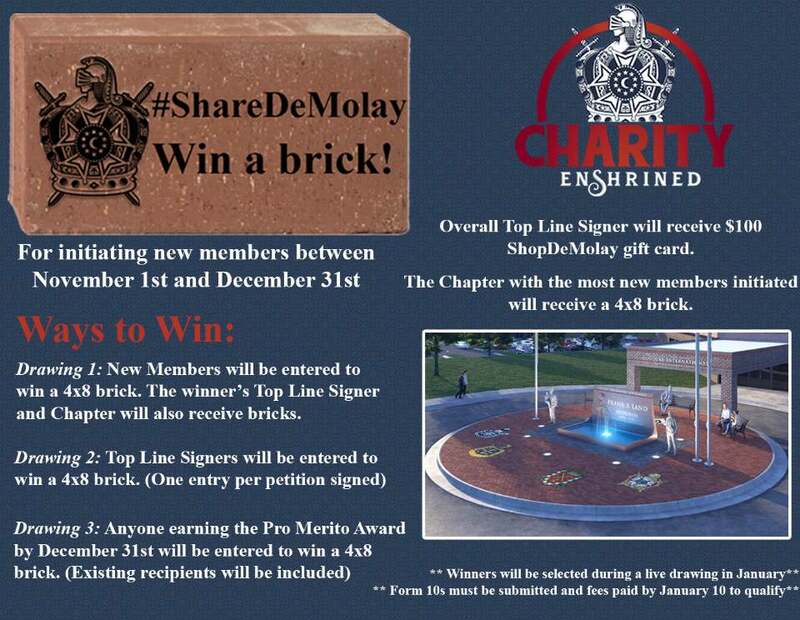 The winner's Top Line Signer and Chapter will also receive bricks. Overall Top Line Signer will receive a $100 ShopDeMolay gift card. The Chapter with most new members initiated will receive a 4x8 brick.